CARLSBAD — It may be the biggest election in the city’s history. Many residents are pushing for change, while others are steadfast in their support of how the city has maintained its status as one of San Diego County’s best. On Nov. 6, residents will take to the polls and determine the city’s future. In one corner is incumbent Mayor Matt Hall, a 24-year veteran on the City Council including the last eight as mayor. In the other is Councilwoman Cori Schumacher, who rode the anti-Measure A wave into City Hall in 2016. On Oct. 23, the City Council voted, 3-2, to aggressively pursue litigation against San Diego County after the Board of Supervisors’ approval of the McClellan-Palomar Master Plan earlier this month. Schumacher voted yes and Hall no (Mark Packard was the other no vote). Hall said he preferred to start in the middle with negotiations, saying the city could opt to file legal action against the county at any point moving forward. He explained he would rather use his longtime relationships with the board to start conversations and negotiations regarding the plan. Schumacher has long been an opponent of the master plan, citing expansion plans, noise, pollution and the environmental impact report (EIR). The city, through its legal team, filed two detailed comment letters to the board over the past several months expressing concerns with a range of issues in the EIR. Aside from the airport, Hall said the city is in an exceptional state, financially sound and able to continue its momentum going forward. He said his vision centers on what residents want for the future, looking toward 2050. Notably, he said, the current revenue streams give the city a balanced budget, a surplus that will lead into the future. Hall said he is cautious when it comes to Schumacher’s desire to push for a battery farm at the Encina Power Plant. Schumacher, meanwhile, said getting into the energy business is good for the city. She explained how it would be a more reliable source of revenue than sales tax or tourism. The city is currently undergoing a feasibility study with Oceanside, Encinitas and Del Mar about Community Choice Aggregation, which could mean the city could sell power. The report is expected to be released in December. Schumacher said discussions with reps from Tesla, NRG Energy (owner of the power plant), San Diego Gas & Electric and other industry experts, have created a realization a battery farm is feasible and with a smaller footprint than the existing plant. The size, though, is still up in the air, but it could be up to 100 megawatts. Hall, though, said it could cost Carlsbad hundreds of millions, perhaps even more than $1 billion, to get the project off the ground for battery farms. 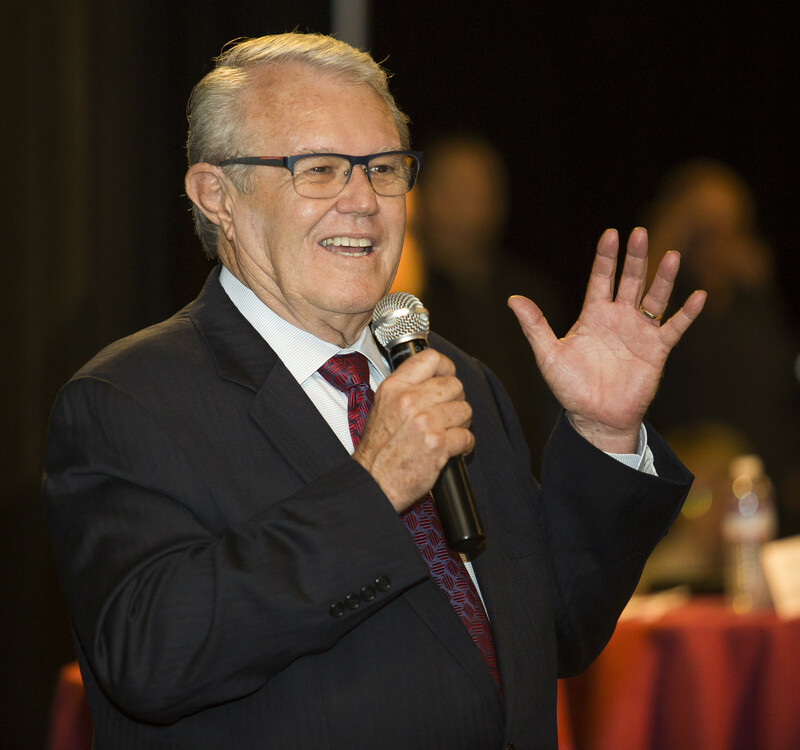 Aside from the financial future, Hall said since the city is well-maintained and run, but three new City Council members, along with Schumacher’s short tenure, in one election could set Carlsbad back years. At least two new City Council members are guaranteed (District 1 and 3) and if Schumacher wins it would create an opening on the council to fill her seat. Hall noted the city has $2 billion in assets and $150 million for operating and capital budgets each, and it is not worth such a dramatic change in the council. Schumacher said if she wins, there is a process in place to follow, which is the council must have a consensus to appoint a new council member. If not, a citywide special election will be called. Regardless, Schumacher added the city must take a more proactive approach to housing. 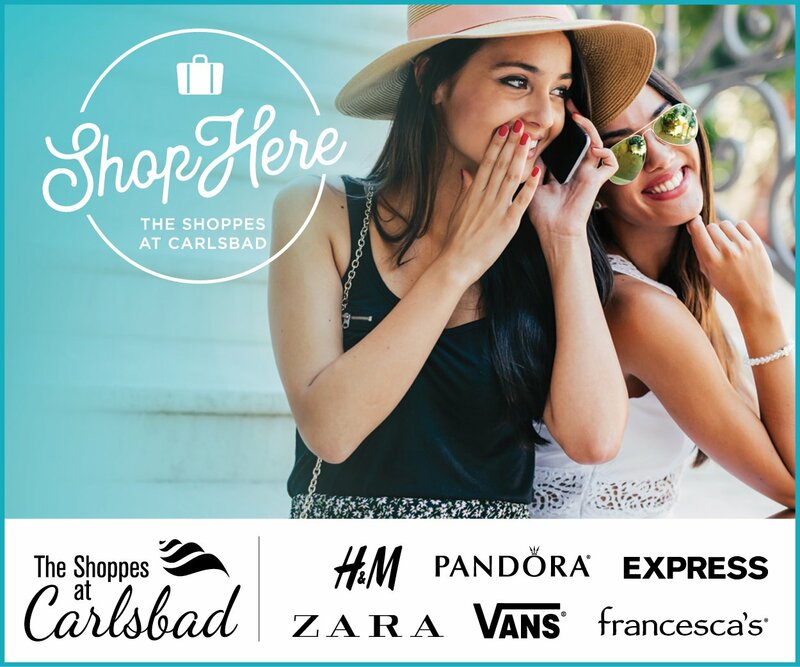 She noted property at The Shoppes at Carlsbad and next to Poinsettia Station as prime locations for smart growth and create more dense projects outside the Village and Barrio. Follow the money people. More thousands just filed today from the North County Neighborhoods Coalition for mailers supporting THEIR candidates, Hall, Carmichael and Busta. Think that money isn’t an investment in THEIR agenda? This is all easy to see if you go to the city’s website. The money is flowing in each day plain as day. Lowell, can you explain here who North County Neighborhoods Coalition really is? A normally logical reader would be misled into thinking it’s a bunch of local neighborhood groups. Not so. Lowell, could you please explain here who “North County Neighborhoods Coalition” really is ? A reader with normal logic would be misled into thinking it’s a bunch of local neighborhood groups coming together. Not so. As someone who has witnessed the growth of Carlsbad I have to say that it could have been worse. Of course it could have been a lot better as well. The direction and process of the conversion of Carlsbad from a nice quiet semi agricultural community into what I can only describe now as a good place to build a hotel has been a boom and bust approach. With times of great expansion followed with pauses to catch our breath and look at what we have done. La Costa got annexed and that brought huge changes. Now with Legoland the golf course and the new developments at Quarry Creek and Robertson Ranch we have finally become just like everywhere the people that live here moved to get away from. So we have money in the bank and we can brag on that. Why is it not being spent to improve the community for the residents? What is that barren hillside they call veterans park other than a place to buy mitigation for another housing project? When will the bigger is better philosophy be replaced with long term good judgement? Probably when the current Council retires. Dr Packards’ old dental office site is the first wall of the canyons that Olde Carlsbad will be turned into. At least Buddy held his ground. Hope we get some new blood in city government soon. Sorry to ramble but the loss is sad. Vote for change. Matt Hall is absolutely right. Cori’s energy plan won’t even come close to producing the numbers she’s put out there. She has made up the numbers for the potential revenues from her battery storage system. She took something that happened just once last January at her model plant in Australia, making $800,000 over two days, and has been claiming that is happens EVERY TWO DAYS. She then extrapolated that mistake into a huge annual revenue projection that she cannot and has not backed up with her calculations. That’s something g even a mid-level manager of a company might lose their job over. Cori doesn’t have the business or historical background needed to lead our City. We need experienced leaders like Matt Hall to keep our city finacially strong and prepared for whatever the economy holds in store. I’ve solved Carlsbad’s energy problems. We use flatulence-thermal energy. Just hook up a turbine to all the old retired guys in the city and capture all the hot air that escapes from both their mouths and their rearends. That ought to be enough energy to power the entire city. Maybe we can also capture some of their “mighty wind”. Win-win for everyone. Hall’s only “vision” for our future is MORE, MORE, MORE of the same. That’s not vision…that’s lack of vision. It’s status quo, we’ve always done it this way, we know better than you do so mind your own business and let us run things. We’re sick of it. Vote Cori !!!!!!!! Please don’t let Carlsbad turn into a Santa Monica …THAT’S ALL FOLKS !!!! Cori Schumacher has no business or management experience. As a result she has made totally unrealistic claims about how much revenue the city will get from her proposed energy battery storage facility right on our coast. She has repeatedly said that the Australian system she uses as her model project has been making $800,000 EVERY TWO DAYS. In fact, that only happened ONCE back in January, NOT 182.5 times a year as she claims. Cori doesn’t understand how to do the proper research, fact-checking and necessary financial verifications to avoid making such erroneous projections. She simply put them out there and repeated them over and over again. Despite being asked, she has not explained how she came up with her numbers nor shared her calculations. The City of Carlsbad is essentially a $2 billion corporation with an annual budget of over $320 million. We need a Mayor who understands business and has years of experience working with budgets and fiscal management. Cori simply doesn’t fit that need. I’m confused. Is Hall responsible for the budget? Does he get involved in every detail? The man who never reads anything. The man who admitted that he never read Caruso’s proposal. I think you give him too much credit. I’ll agree that he also takes too much blame from some people but the fact remains that Carlsbad is a weak mayor govt with a city manager. Hall nearly always defers to staff and rarely from what I’ve seen is knowledgeable to any degree about anything. His performance in the debates showcased his profound lack of information on a myriad of topics. So you keep on bashing Cori all you like over and over likea broken record right up until Tuesday. It just becomes so much background noise to be ignored. North County Neighborhoods Coalition is the name of a political action committee that used to be called North County Leadership Council. They are a group of real estate developers primarily but also include funding from the Building Industry Association (also developers) and the San Diego County Lincoln Club (a Republican group of operatives). Their sole purpose is to funnel money to local candidates through Independent Expenditures to circumvent Campaign Finance Disclosure made directly and to give the candidate the appearance of clean hands when nasty mailers go out. This information is available to the public if you know where to look. sdvote.com, fppc.ca.gov, and the city’s own website. You can also google search for some information as well. People need to know this stuff. Obviously the candidates being backed do not want people to know. A law firm called Scott and Cronin out of Encinitas coordinates much of this. The person who signs off on it is Nancy Haley. By the way they obviously chose that name to try to deceive people. They also formed one called North County Quality of Life or something like that but didn’t use it. The most glaring detail in all this is the fact that Shopoff Real Estate from Irvine, the group behind the proposed Ponto project, have thrown thousands of dollars into this campaign (funneled through NCNC) supporting Hall, Carmichael and Busta. What possible reason could they have for wanting to “invest” all this money into a local election here in Carlsbad? Ask yourself that. It’s NOT illegal; it IS clearly unethical. No other candidates accept such money (of course none have been offered it either). ONLY Hall, Carmichael, and Busta have had any Independent Expenditure money spento on their behalf. The other contributor is the Carlsbad Police Officers Association PAC (which is NOT the same as the Carlsbad Police Dept in its official capacity). Interesting fact is that the BIA has donated money to this PAC as has Councilmember Keith Blackburn, a former Carlsbad police officer. This group (NCNC) is also actively involved in other elections throughout all of North county operating as a sort of syndicate to back a closely allied group of politicians (mostly Republican, but not all) who all share the same agenda. These are all facts easily verified by any other person. I am not making this up nor am I making any accusations or allegations that can’t be proven. The money just keeps pouring in at the last minute. The California Real Estate PAC (Los Angeles) just gave $5000 to Busta. Only reason I post it here is that Busta is really just an extension of Hall so in a sense it’s the same campaign. Also note current sitting councilmember Blackburn just gave $1955 directly to Hall. That is in addition to the money he contributed to the Carlsbad Police Officers Association PAC, which made Independent Expenditures on Hall’s behalf to purchase and put up their signs. I confirmed this detail with the CA Fair Political Practices Commission. More facts that the people of Carlsbad should be aware of before they vote. Matt Hall says he “moved on” the day after the Measure A vote, but he did not. In fact, he and an assortment of City staffers showed up at a Coastal Commission Meeting in Newport Beach in May 2016, 3 months after the vote, to ask for certification on 3 properties, 1 being the Agua Hedionda South Shore. Had it worked, he would have paved the way for Caruso 2.0, but he did not win. I was there w/Cori Schumacher, Amanda Mascia, Kris Wright, and others and fortunately, the Coastal Commission listened. Further, re the Airport, Matt Hall has done nothing other than pitch for the Airport alongside County Supervisor Bill Horn for 10 years. When asked about the Airport, he has always looked down at his feet, not at me, and said it’s out of his hands. Well, now I can only hope so! If Cori loses on Tuesday, it will be because of the negative campaigning of people like Hope Nelson. There are many people online who state the cause of Ms. Schumacher with facts, with courtesy to others, with well-spoken comments. Hope does not do that. Ms. Nelson and a small handful of others seem capable of only two things, telling you to hate the Mayor, and repeating whatever spin they are given by the campaign. Hope’s “people for a friendly airport” gang consists of a few people retroactively angry they bought property close to the Airport. Her comment about the Mayor reads “he has always looked down at his feet, not at me” leaves out one fact. Who on earth would wish to engage with an angry and hateful person who denigrates you, day after day, week after week, year after year? There does come a point that even somebody like me who does not plan to vote for the Mayor wants to say, “Stop”. There is a difference between responsible and data-driven opposition to a politician and their policies, and listening to somebody who simply hates an elected official. Far be it from me to get in the middle of something, but if you’ll recall I too let my emotions get carried away. It happens. As far as the airport goes, I have to agree with Hope. I do NOT live near the airport. I live in La Costa nearly on the border with Encinitas yet in the past couple of years I have noticed a distinct uptick in the number and size of planes flying over my house. Just today one of those CalJet planes flew so low over my house our windows shook. I really think Matt Hall will do nothing about this. I know I’ve complained until I was blue in the face and nothing changes. I hope maybe Cori’s approach might makes things better. 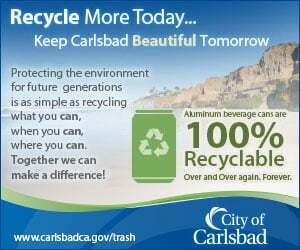 Please consider the whole picture when you vote and what is for the best of all of Carlsbad (and the surrounding communities too). Thanks for listening (or reading). Something smells when outside Unions are financing Cori’s campaign. Why all that Union PAC money? Amounts, please? And how about a total percentage. If you want to make an argument, then do so. This is not an argument. And Pinole is in Contra Costa county. Can you read a map? Can you google? Does it matter? The PAC that donated to Busta is based out of LA. Summerhill Apartments is out of San Ramon. They have donated to Hall. What’s the connection there? Hmmm??? CR, thanks for citing facts but you betray yourself when you make insinuations that are baseless. What exactly is your argument for a connection between the union donations and Cori? The connections between Hall and the developers is plain to see. Shopoff has a pending project. Sudberry owns a shopping center. Foursquare (Russell Grosse) owns several developments in Carlsbad. We can go on and on and on. It’s evident that these people want Hall and Carmichael and Busta to win to further their own agenda. What do the unions stand to gain should Cori win? What do you think she has promised them? We give you free rein to speculate to your heart’s content but we know it will be your opinion, NOT fact. Yes, she took a few thousand from some unions. No one denies it and no one is hiding it. But why is the North County Neighborhoods Coalition making Independent Expenditures on behalf of these same developers and the BIA PAC and the Build San Diego PAC? Nothing illegal. Nothing nefarious. Just the same old game that has been going on for years across all of North County. It ends November 6. All the many thousands of dollars these entities are spending will have been wasted just like the over $10 million Caruso wasted. The only thing that smells here is the burning sensation coming from your ears as the wheels spin round and round as you try to concoct some fantasy version of why Cori is so corrupt and Hall is so squeaky clean. Call the Carlsbad Fire Dept. At least they had the good sense to back Priya instead of Busta. Citizens for North County issued a remarkable statement the other day. The leaders of the group that stopped Caruso felt it necessary to clarify that their hundreds of volunteers deserved credit for that miracle. Cori Schumacher had parted ways with CNC months before the Special election. But you say, wait, wait, wait, wasn’t Cori the leader of the resistance? Doesn’t she know how to lead our community? No, she wasn’t and no she doesn’t. 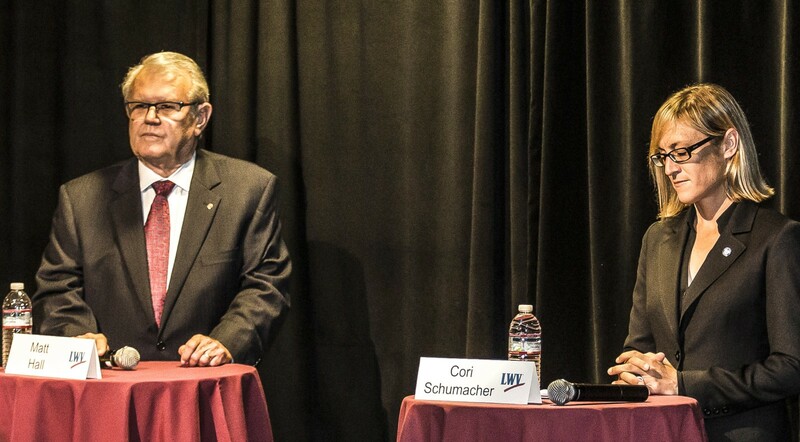 I’m far from the first to conclude that Cori Schumacher lacks the temperament to be Mayor. After all, this is a candidate who refuses to discuss specific policies, who famously has failed to work with other elected officials, whose inability to manage her “Foundation” is in the public record, and who brags in her own documentary that she is “intolerant” of anybody who disagrees with her. Another poster has said: “Follow the money people. 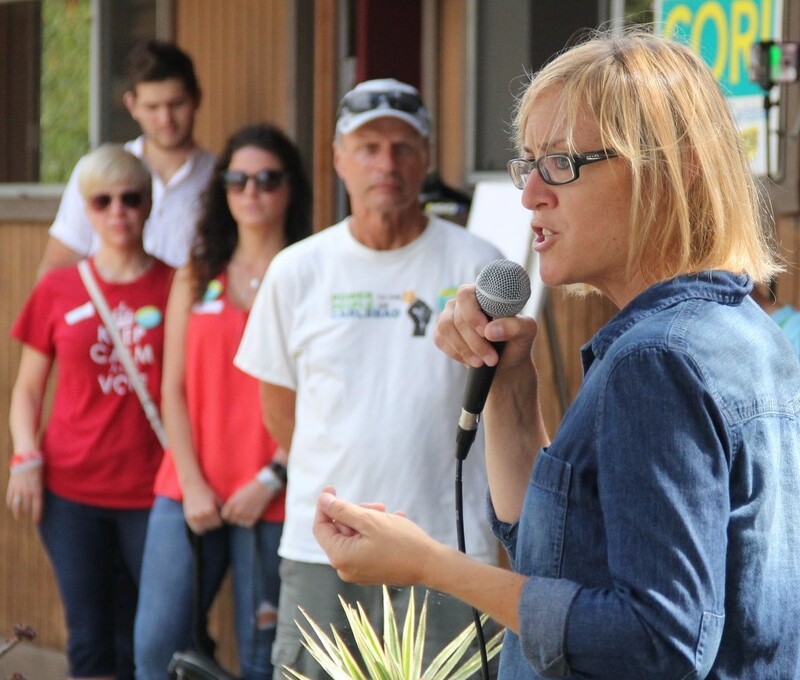 More thousands just filed today….” What you are not being told is that the same Cori Schumacher whose split from CNC was supposedly over a donation that offended her purity, has developed a healthy taste for campaign cash herself. A look at her donations includes donations from Big Labor, Big weed, and other members of the Democratic Party hierarchy. A candidate getting $7500.00 from building trade unions, is probably a candidate planning to build something somewhere. Though Cori has her supporters in Carlsbad, chances are the person canvassing your home is a union member residing someplace else. If a voter is looking for bi-partisan governance in City Hall, that buyer should be aware their vote is going to a candidate who is the product of a Democratic Party push to turn Carlsbad into their stronghold. As someone who watches nearly every Council meeting on TV, I have to take exception with one part of your comment. I don’t see how you can say Cori doesn’t work well with others. Didn’t both Blackburn and Mike Schumacher just join her on a critical vote? Granted those negotiations were not televised because they were in closed session but the fact that both Blackburn and Mike S. have supported Hall (both have given him substantial contributions) and yet they voted with Cori, doesn’t that say something? My other point would be that Lorraine Wood, whom Cori defeated to earn her seat on council, has come out in support of Cori rather enthusiastically. What does that tell us? If anyone has demonstrated an unwillingness to work with others and compromise, to go it alone, that would have to be Hall. His actions of late have shown many of us that he lacks the temperament to represent Carlsbad. He is often dismissive of speakers and when opposed can be defensive bordering on rudeness. I think we deserve better. You might argue that some of Cori’s supporters step over the line. No doubt they do, but then again both sides are guilty of that and each candidate can’t be held 100% accountable for the actions of all those who support him/her. Cori has owned her mistakes and stepped up when she’s seen people doing things that don’t align with her core values. I just don’t see Hall doing the same, which is just one of the many reasons I plan to vote for her. Cori’s campaign is not financed by unions. They are, in fact, overall a small contributor. Do your homework instead of making false claims. The information is easily available on the city’s website. Also, a citizen made a presentation at the most recent council meeting summarizing very nicely the amounts. Sure the citizen was Laura Drelleshak who is the campaign treasurer for Cori but her information was 100% accurate. Check it out. You can watch the video online. On the other hand, a lot of the money coming in for Hall both directly and indirectly is coming from developers. That’s a fact. And another $5000 just came in today for Busta from the California Real Estate PAC. CR, You are boring and repetitive. See if you can come up with something new, please. It’s easy for us to come up with new facts because each new day brings more money spent on behalf of Hall and his would-be accomplices. Nice try but it’s getting old. Addie, you make comments about others being liars, about being deceitful, but that is you. You post under the name of “Addie”, and also under the name “Lowell” and other names. You are the same person. As you say, people need to know the truth. Is it true that you post comments under the names of “Addie” and “Lowell” and other names? To date North County Neighborhoods Coalition (meaning Sudberry, Shopoff, Integral, New Urban West, and others) have INVESTED not thousands but TENS of thousands of dollars in Hall, Carmichael and Busta. I used the word “invested” intentionally because what are these people but businessmen? Would they just throw money away? They are making an investment and they expect a RETURN on their investment. They expect votes, friendly rulings, very friendly planning commissioners appointed by their pal the mayor. No one with any lick of sense could see this any other way but as quid pro quo. It’s that simple people. So is anyone prepared to argue that Tom Sudberry, Craig Manchester, Irving Shopoff and the rest of these guys are stupid? Because if you think they are doing this for any other reason besides the obvious and logical one then you are in effect calling these men stupid and stupid they are not…unethical, greedy, manipulative, but not stupid. Does Herman Munster have Carlsbad Rocks in his head? He must because Herman was not very smart. Try picking a better character Larry. Maybe Arnold the Pig from GreenAcres or would Arnie prefer to use that one? Maybe Gomer Pyle? Holy pseudonym batman doesn’t anybody have the courage to use their own names? When is this pot calling the kettle black gonna end? Seriously Herman Munster is worried that Carlsbad will become a Democratic stronghold? Herman was a democrat! He was my next door neighbor. Nicest guy you ever wanna meet. We used to cruise in that big old converted hearse he drove. Bi partisan government in Carlsbad sounds great. No partisan sounds even better. We are a long long way from being non partisan just ask the last 60 years worth of mayors and council members if they had a party affiliation. Money is the preferred party in Carlsbad just bring plenty and you will get what you want. Oh Arnie, sorry your vigil in the tent of lies didn’t pan out. Can’t you be satisfied with the stuff you already brought to our nice little town? Legoland, endless tract housing the golf course and more giant hotels on the beautiful beaches. Isn’t that enough tourist trapping to last a lifetime. Carlsbad is a community not a business run by stockholders with the biggest share. Unfortunately your sensible appeal will fall on deaf ears. These two guys just have nothing better to do. At least it keeps them from getting involved in even more mischief. Maybe after November 6 they’ll find something constructive to do with themselves. Let’s hope so. Speaking of liars, here’s what Larry put on his own FB phony site: Unless a “bombshell” of major importance this is the last post we make on our elections…. And then he goes on to keep posting garbage about the election. More of the same nonsense. I think maybe I’m one of about 10 people who actually look at his site just to see how pathetic it is. Another $5000 just came in for Hall. This time from the CA Realtors Association PAC. They previously gave $5000 each to Busta and Carmichael. Just filed yesterday and accessible on the city’s website under Campaign Financial Disclosures.